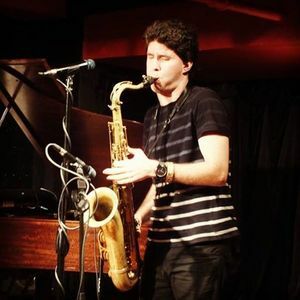 The Ross Mintzer Band, affectionately dubbed the Bitcoin Band owing to their early adoption of Bitcoin and their performance at the Bitcoin music festival last year in New York City at the New York Bitcoin Center, is performing in New York City on April 4th 2015. Mintzer studied music at the prestigious Interlochen Arts Academy in Michigan during high school and continued at the Manhattan School of Music in New York during college. He also performed at the 47th Annual Grammy Awards in Los Angeles. Ross Mintzer has performed at several Bitcoin-themed events and is an avid supporter of Bitcoin and cryptocurrencies. Most recently, he performed saxophone live at the Dubai Bitcoin Conference at the Dubai International Financial Center in December 2014. Ross Mintzer has been a supporter of Bitcoin and cryptocurrencies and an active member of the New York Bitcoin community, attending events at the New York Bitcoin Center. The Ross Mintzer band sells tickets to the general public through Eventbrite, but has always made the option of paying with Bitcoin possible. If you want to attend this event in New York, you can check out the Eventbrite page, or pay through Bitcoin through Ross’ personal Coinbase page.